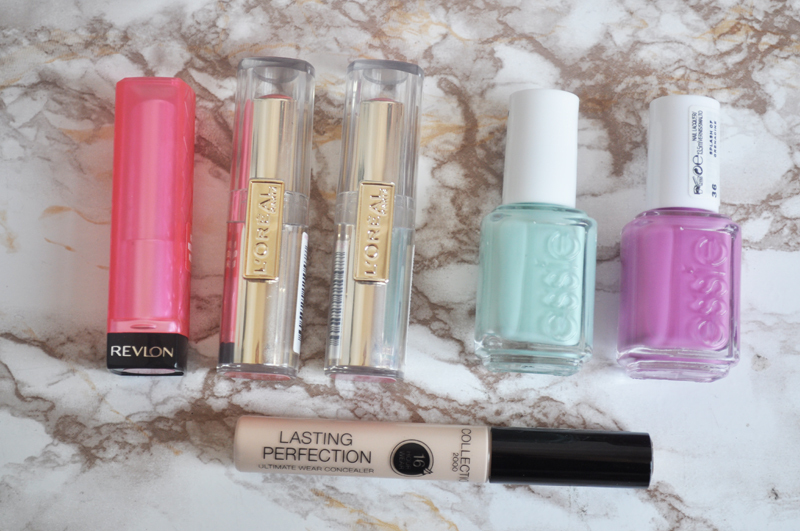 I bought a few things from Boots the other week so thought I'd share them! I'm just a little bit late jumping on the bandwagon for all of these products but I was on a spending ban when they were all the hype. Revlon Lip Butter In Sweet Tart - I really didn't know which one to order as there was a couple shades I was choosing from but finally went with this bright pink. Although I've seen a lot of videos and blog posts on these I was still pretty impressed with how pigmented it is. It's only one swipe on the swatch but you can really build up the colour. It also feels like your not wearing anything on your lips which I love. 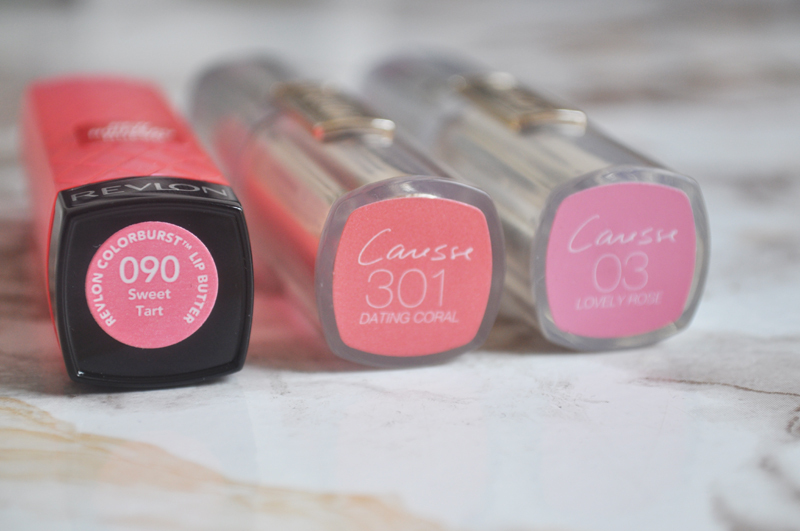 L'Oreal Caresse In Dating Coral & Lovely Rose - Again I wanted pretty much all the colours but went with these as Boots had a 3 for 2 offer on. And yes, I did buy 3 but they messed up my order and sent me a completely wrong lipstick which I've actually fallen in love with. 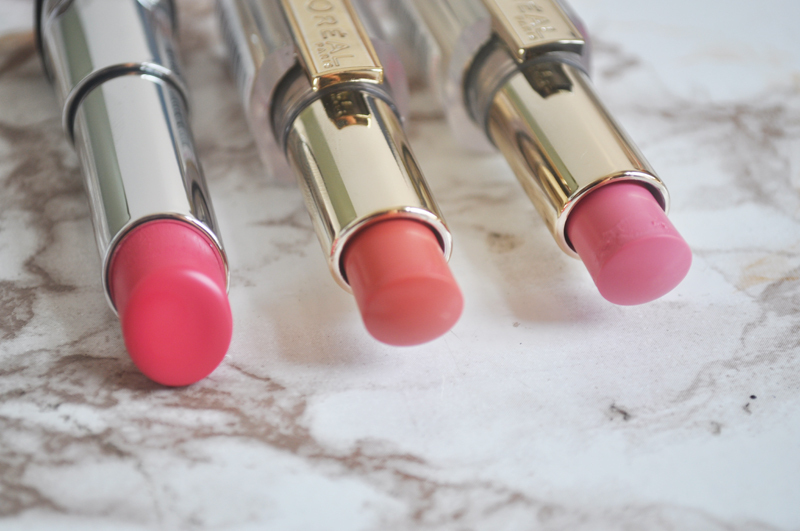 Again these feel amazing on the lips and I particularly like Lovely Rose as it's such a great everyday colour. It also reminds me of Mac's Gaga which I'm trying not to use so much. Essie Mint Candy Apple & A Splash Of Grenadine - I'm absolutely loving mint at the moment and I just had to buy Mint Candy Apple! This also means I've just added two more polishes to my allowance this year and have only 4 left. These are both from Essie's new diffusion line which means they are slightly smaller than normal, have a different brush and a much better formula. I just couldn't resist A Splash Of Grenadine as it brings back a lot of memories! When I was a kid we used to make non-alcoholic tequila sunrises with grenadine. This sort of colour is also one of my favourites to wear on my nails and is pretty similar to the limited edition Barry M polish from boots. Collection Lasting Perfection Concealer in Fair - I've been on the hunt for the perfect concealer for ages so I couldn't not add this to my order since everyone has been raving about it. I wasn't sure if fair, the lightest shade, would be a good colour match but it's actually perfect. 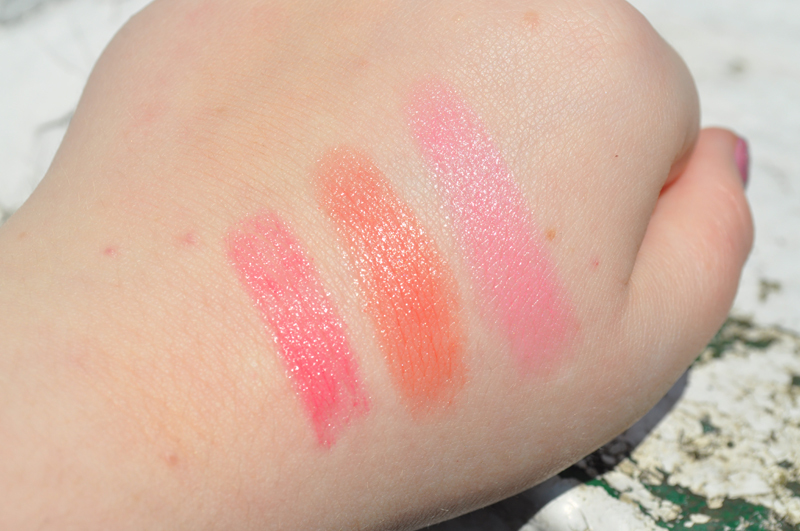 The lip colours all look so lovely!